The experience of the last decades in developing countries has shown that agricultural subsistence-oriented small landholdings, many of which are managed by women, have not benefited from trade liberalization. Cheap imports have depressed the prices of locally produced food crops and made small-scale farmers production unprofitable. In several developing countries, small farmers who are unable to compete with cheaper agricultural imports are abandoning or selling farms at an increasing rate, leading to land concentration and expanded production of commercial crops, which in turn can contribute to food insecurity. (see note 73) At the same time, given the low-import content of small holders’ expenditures, they are not likely to gain much from a reduction in the import prices of goods. Moreover, at times when import prices fall, retail prices do not follow suit, due to rent capturing. Women-owned farmlands face many more constraints in adapting to higher levels of competition as they receive fewer services and lesser support than those owned by men. In Africa for example, women receive seven percent of the agricultural extension services and less than 10 per cent of the credit offered to small-scale farmers. (see note 74) Furthermore, small-scale women farmers tend to be at a disadvantage when the liberalization of agricultural markets occurs because they have limited access to credit, agricultural inputs and marketing knowledge; all of which are part of the technological upgrading required to successfully compete with both import products and in the international markets. (see note 75) These disadvantages reduce women's productivity and competitiveness as actors in the agricultural value chain, as well as their overall market effectiveness. 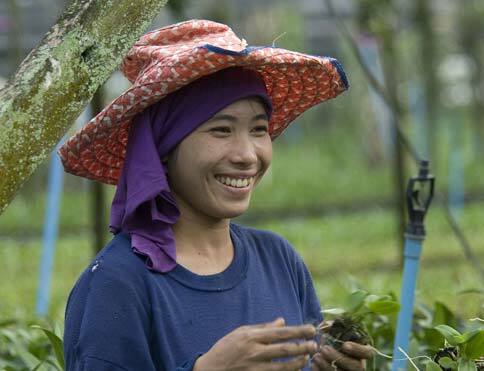 Therefore, all policies aimed at increasing rural women’s access to land, other capital and credit, at facilitating their acquisition of improved agricultural technologies and inputs (eg, seeds, pesticides, fertilizers) and at providing training in improved agricultural production methods are likely to enable women farmers to benefit from the opportunities offered by trade liberalization. Such policies, however, should not conflict with the search for more sustainable patterns of agricultural production. Women also contribute to food security in their role as custodians and users of traditional knowledge in land management, including in the management of seeds, which are critical for rural food security and the maintenance of agricultural biodiversity. 72 Fontana M, Joekes S and Masika R (1998). Global Trade Expansion and Liberalization: Gender Issues and Impacts, Bridge Development - Gender, Report No 42. 73 Young B and H. Hoppe (2003). Gender agenda in the WTO. The Doha Development Round, Gender and Social Reproduction. Gutachten für die Friedrich Ebert Stiftung. 75 UNCTAD (2009). Op. cit. 76 According to FAO Food Price Index, world food prices surged to a new historic peak in January 2011, for the seventh consecutive month. This is the highest level (both in real and nominal terms) since FAO started measuring food prices in 1990. 82 Smith S. et al. (2004). Op. cit. 83 The World Bank, FAO and IFAD (2009). Op. cit.